A true vintage workwear style takes on a new life with indigo dye and a selvedge composition. 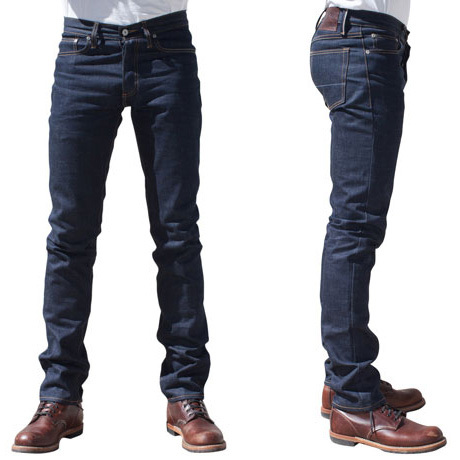 This may be the most fun selvedge pant in your collection. *Note: We recommend sizing up one size to account for this fabric's dense weave. Wabash fabric has a long workwear history that dates back to the 1800's. The hallmark is the printed dot pattern, usually in contrasting color to the base fabric. What was once designed as a purely rugged piece takes on a new level of beauty and joy in this masterful recreation from Japan. Each element is perfected. 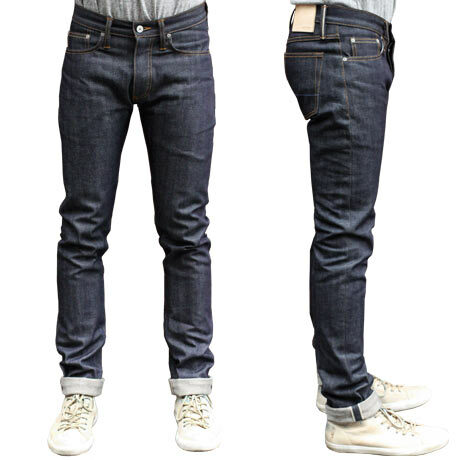 The base fabric is a tightly woven, selvedge canvas in lighter weight. It's dense, but very soft and easy to wear. Next comes the indigo dye. Both warp and weft are colored to a bright inky blue. It's a few shades lighter than a traditional dark indigo and much more vibrant. Finally the traditional dot pattern is printed on the surface. It brightly contrasts the deep blue base. From a far it looks like a pinstripe, but up close you see the individual dots. 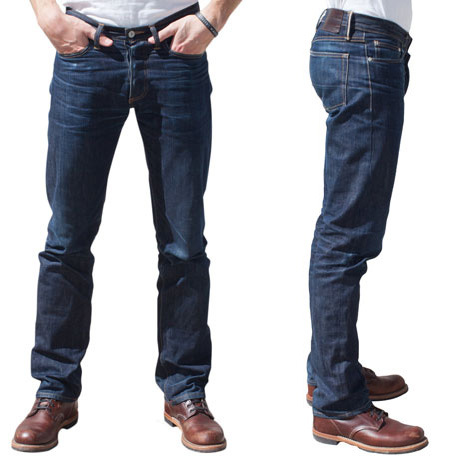 Vintage workwear fabric now becomes your most fun pair of selvedge pants.